The FX Fire Blanket is manufactured using high quality woven glass fibre material to provide excellent fire and flame resistance. The Fire Blanket is placed over the fire and extinguishes it by forming an air tight seal which smothers the fire by cutting off the supply of oxygen. 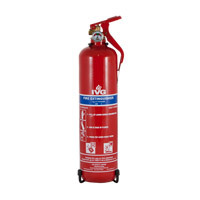 It is an essential fire safety product particularly effective on deep fat fires (Class F fires). Fire Blankets should be used on all chip or fat fires as it is not advisable to use a standard fire extinguisher due to the potential risk of spraying the burning oil. Ideal for waste bin and clothing fires by wrapping round a person tightly to seal from air. 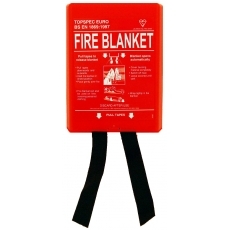 A fire blanket should be present in every home and are ideal for use in boats, caravans, kitchens, next to the bbq, schools, hospitals, laboratories, factories, warehouses or offices.Simple to use. Packed for rapid deployment. Flame resistant fabric with good drapability. Fitted with flame proof handles. Maintenance: Only regular visual inspection required. Complies with BS EN 1869:1997. 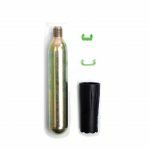 Fully approved and tested by BSI & Kitemarked. TUV certified to EN 1869 for use in Europe.